The Ojai Vineyard » July 23rd – Southern Spice Cooking, Dry Crisp Riesling, and Music! July 23rd - Southern Spice Cooking, Dry Crisp Riesling, and Music! Don’t miss out on our pop-up food pairing event this Saturday, July 23rd from 5 to 8pm! 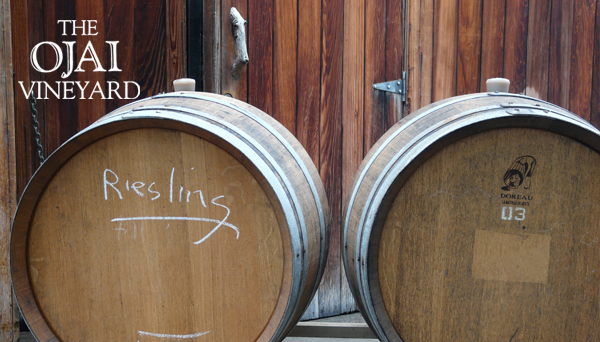 If you’ve had our Riesling (it’s dry–not sweet! ), you know it’s an exceptionally refreshing and minerally take on the varietal—it’s bright and perfectly quenching on a hot summer day. Riesling also happens to be one of the most laudable “food wines,” with dry versions like ours straddling a perfect balance between racy freshness and textural elegance–which is why we are excited to introduce you to our food pairing geniuses for the evening! Danny’s Everett’s small plate menu for our Riesling draws from a broad range of influences. Perhaps you remember his name from when he took home gold and bronze medals in the Olympics and held the world record in track and field. Danny traveled the world for competitions, and had the pleasure of dining with Heads of State and other dignitaries, eating amazing international cuisine in over 20 countries. Danny combined his first-hand experience with international cuisine with his love of cooking to create elevated soul food and savory multi-cultural dishes with his SoulFête culinary series. Check out SoulFête’s website to hear more about their story and cuisine. View the menu here! This event will be unique from others in that SoulFête will be staffed to take orders at your table, so you can relax with a glass of wine until you’re brought a plate of beautifully plated and boldly delicious food. Settle down with the current vintage or library bottlings of our dry Riesling and treat yourself to an evening of perfectly paired flavors at our tasting room. Come enjoy refreshing dry Riesling, some exciting new cuisine and live music from Omar Velasco this Saturday, July 23rd from 5 to 8pm! For the night’s wine bar offering we will be tasting riesling from multiple vintages and other selections to show you the diversity of our library!